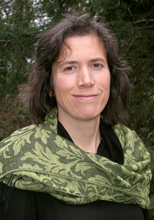 Deborah's research and practice engages in the subjects of water and regional or watershed sustainability. Flowing through her research is an interest in how legal and policy structures (1) facilitate or impede us from adapting to changing ecological conditions, and (2) shape decision-making through governance processes. It is adaptive governance that assists in responding to socioecological conditions, and law—Indigenous, customary community, municipal, provincial and federal—plays a foundational role in how well any watershed community responds over time or to specific events. Deborah is an Associate Professor in the Faculty of Law and the Executive Director, Environmental Law Centre. My focus over the past three years has been to evaluate how the new Water Sustainability Act in B.C. responds to weaknesses in the water management regime and the call for adaptive law, and to compare the Act to other jurisdictions undertaking water law reform. With my colleague Val Napoleon and the Indigenous Law Research Unit, I am working on a three year project (2015-2018) on colonial and indigenous water law in B.C. We have partnered with the Cowichan Tribes, Lower Similkameen Indian Band and Tsilhqot’in Nation to build up their respective indigenous water laws. In the same watersheds, we are working with water purveyors and the agricultural community to examine how water license holders steward water and how colonial water law affects their behaviour. The intent is to generate information to assist these watershed communities in their integrated water planning activities, and to provide input for the implementation of the new Water Sustainability Act. We have funding to work with incoming PhD, LLM and MA students in the 2017-2018 graduate intake cycle. Please email me if you are interested in these opportunities (dlc@uvic.ca). In this video, Deborah discusses the fundamental importance of water and why water law needs to be reformed in BC.